Leander Paes became the most successful doubles player in the history of Davis Cup as he combined with Rohan Bopanna to not only grab a record 43rd win but also bring India back in the tie against China on Saturday. 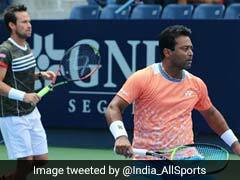 Forced to play together by All India Tennis Association (AITA), 44-year-old Paes and Bopanna downed a fighting Chinese pair of Mo Xin Gong and Ze Zhang 5-7, 7-6(5), 7-6(3) in the do-or-die doubles rubber of the Asia/Oceania Group I tie. 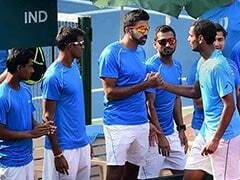 India were trailing 0-2 in the tie after Ramkumar Ramanathan and Sumit Nagal suffered surprise tame defeats on Friday and needed a win in the doubles to stay alive in the tie. 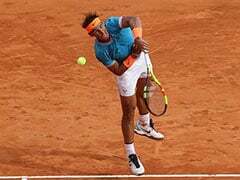 Paes, India's Davis Cup hero for years, was tied on 42 wins with Italian great Nicola Pietrangeli for long but finally managed to surpass him with a gritty performance on Saturday. 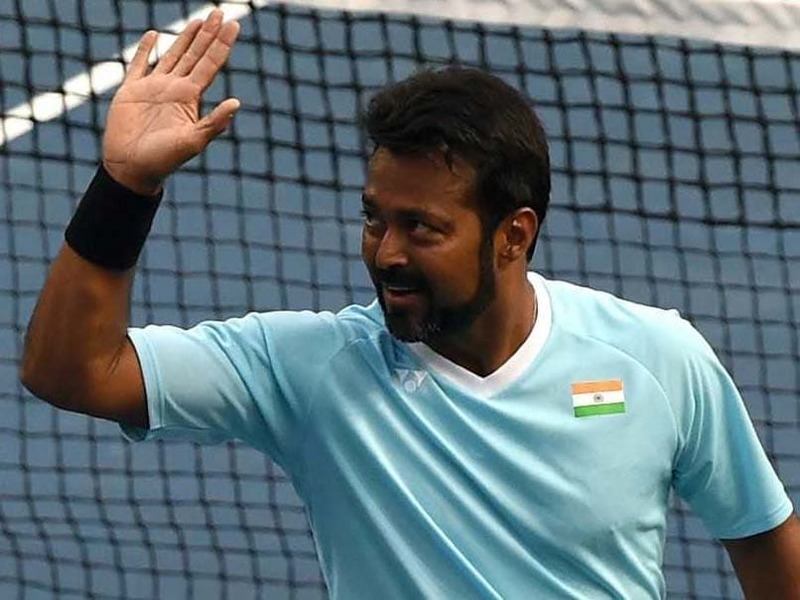 Paes had made his Davis Cup debut in 1990 along side Zeeshan Ali, who is now coach of the side, and grew into a legend in company of Mahesh Bhupathi, who is now the captain of the side. 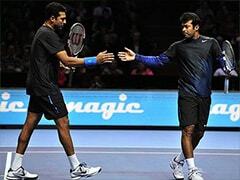 Paes and Bhupathi, who together ruled the ATP circuit in late 90s with their incredibly successful partnership, weaved the longest unbeaten winning streak of 24 matches. Bopanna had expressed reluctance to play with Paes in this tie against China but he played well today. 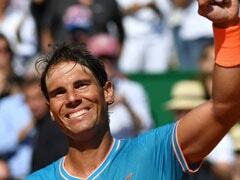 Dropping serve in the third set was the only blemish as he stayed strong in his service games. His 'missile' serves proved too hot to handle for the Chinese while Paes, as usual, was superb at the net. After trading a break each, the two pairs were tied 5-5 when Paes was broken in the 11th game of the opening set. Gong served it out in the next, saving a break chance in between. The fight was on with the Indians getting more break opportunities than the home players but struggled to deliver the knock-out punch. Bopanna served too big and the Chinese were not even coming close to making impactful returns. The Chinese nevertheless stayed strong on their serves and there was no break of serve in the second set. Gong came out to serve under pressure at 5-6 and faced a set point too but managed to stretch it to the tie-breaker. 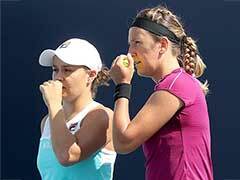 It was tight in the tie-breaker as well as it became 3-3 and then 5-all. Bopanna smashed an overhead volley winner to earn the team's second set point and Paes nailed it easily. The Indians broke Gong in the third game for a 2-1 lead and consolidated it. In the decider, the Indians lost three games in a row to be down 3-4 from a commanding 3-1 lead. 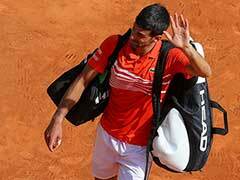 It happened when Bopanna, who was serving effortlessly big and hot so far, dropped his serve in the sixth game. Paes came out to serve at 5-6 and went down 0-30 but pulled off the crucial hold to force another tie-breaker. The Indians were experienced enough to dominate the lower-ranked Chinese in the tie-breaker and pulled off the memorable win.